Our primary challenge is to maintain the integrity of this historic collection, which will celebrate 100 years in 2022. 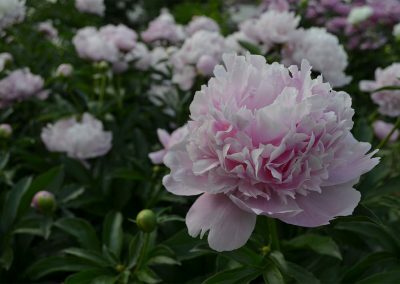 We seek to build the related collection of tree peonies as a backdrop, and create an international Online Peony Information Center. 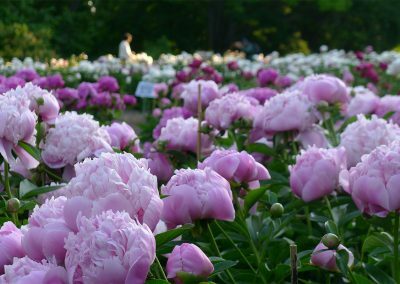 Ultimately, we aim to create educational exchange programs with institutions in China, Japan and Korea related to peony culture. 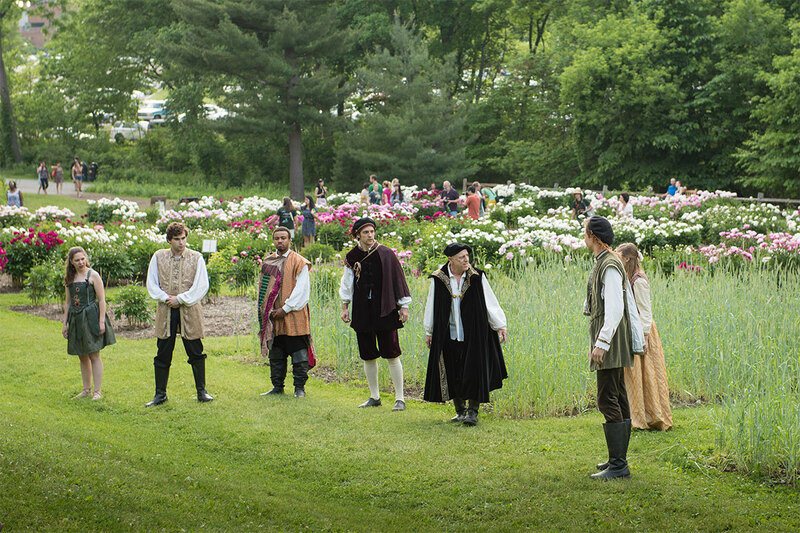 These specimens represent many of the important American, Canadian, and European herbaceous peonies of the era—and over half are no longer commercially available. 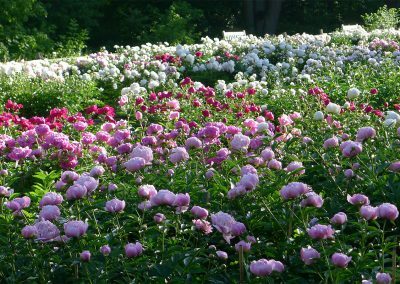 These fragrant spring beauties are arranged in 27 beds with each full bed containing up to 30 peony plants. 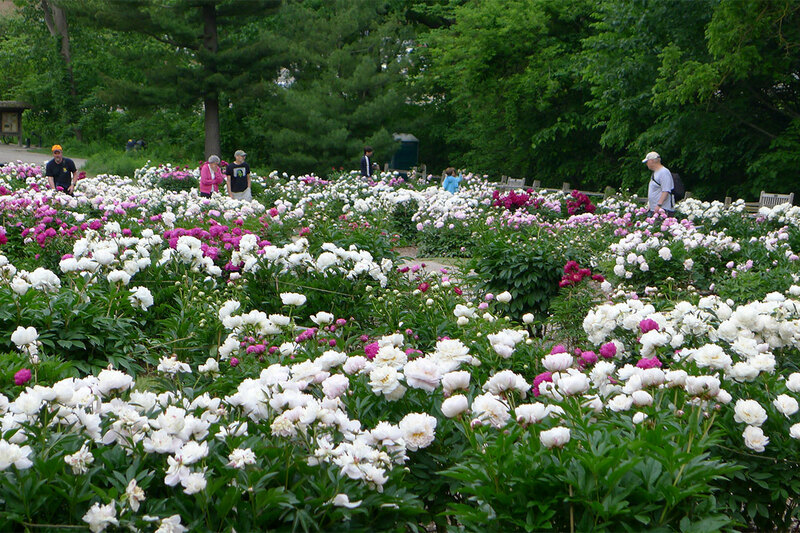 When filled to capacity the garden holds nearly 800 peonies and up to 10,000 flowers at peak bloom. 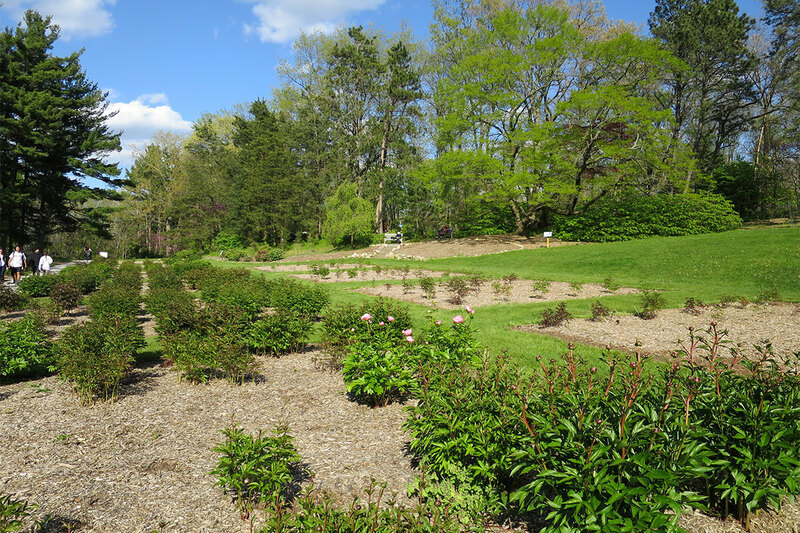 Scroll down to see more pictures of the peony garden. 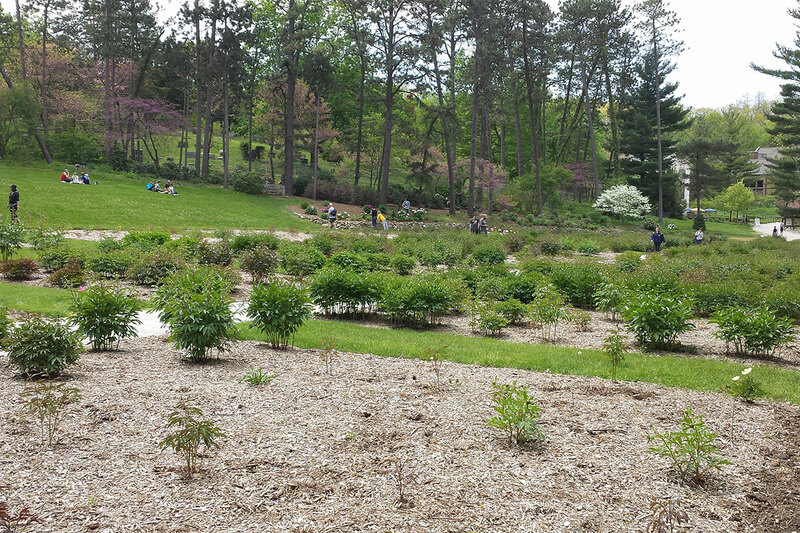 The garden is located near the 1610 Washington Heights entrance to Nichols Arboretum and is part of the University of Michigan Matthaei Botanical Gardens and Nichols Arboretum. 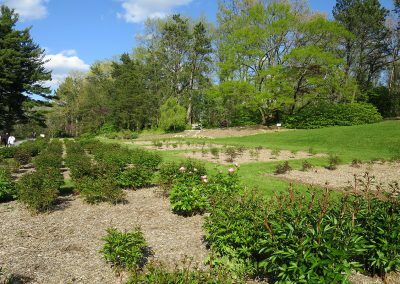 The peony garden bloom season last several weeks, with the garden reaching a bloom crescendo in early June. Up to 10,000 peony blossoms appear at peak bloom in the peony garden. 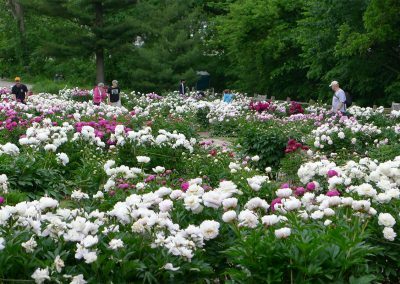 The Nichols Arboretum Peony Garden comes in waves of pink, red, cream, and white. Peonies come in many flower forms, from single to double to “bomb,” and more. 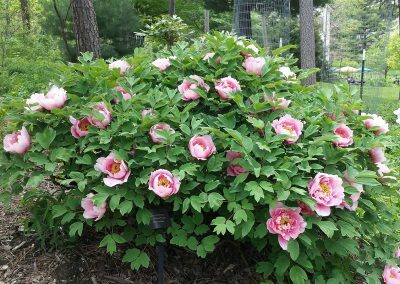 In early spring the peony plants begin to sprout. 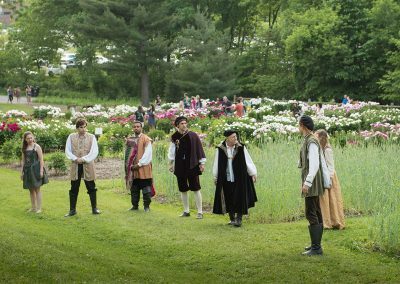 Shakespeare in the Arb, ann annual spring tradition in Nichols Arboretum, often begins or ends in the peony garden. 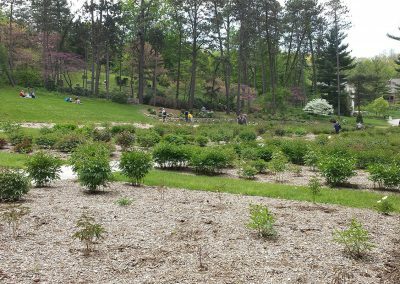 As the peony plants begin to grow larger, otehr spring flowers such as redbud, dogwood, and Virginia bluebells appear. 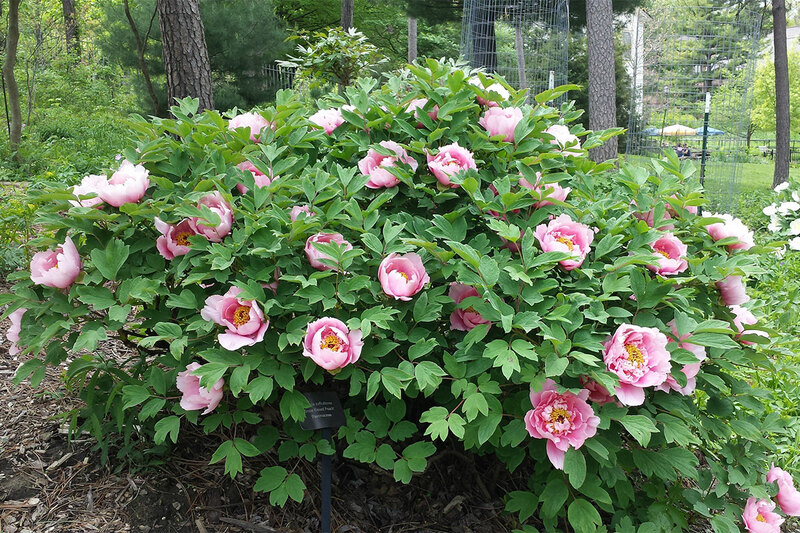 Tree peonies like this ring the east side of the peony garden. 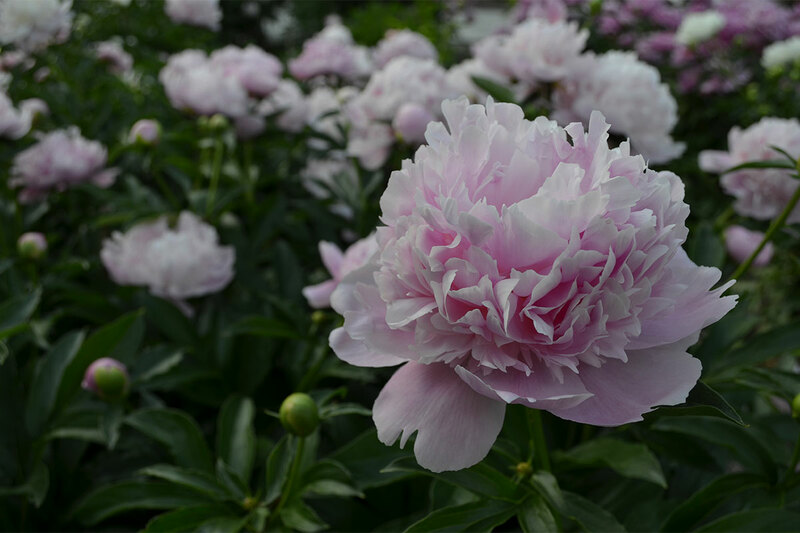 The tree peonies appear 2-3 weeks before the herbaceous peonies, lengthening the peony season by nearly a month.